On 22 January, Zwemcentrum Rotterdam [the Rotterdam Aquatic Centre] opened its doors to the public. The opening of the swimming pool constitutes a first milestone in the Hart van Zuid area development. The Rotterdam Municipal Authorities, the Hart van Zuid consortium (consisting of Ballast Nedam and Heijmans) and Kraaijvanger Architects closely collaborated to realise the aquatic centre. The pool at Annie M.G. Schmidtplein was designed for locals, but also has major international ambitions. 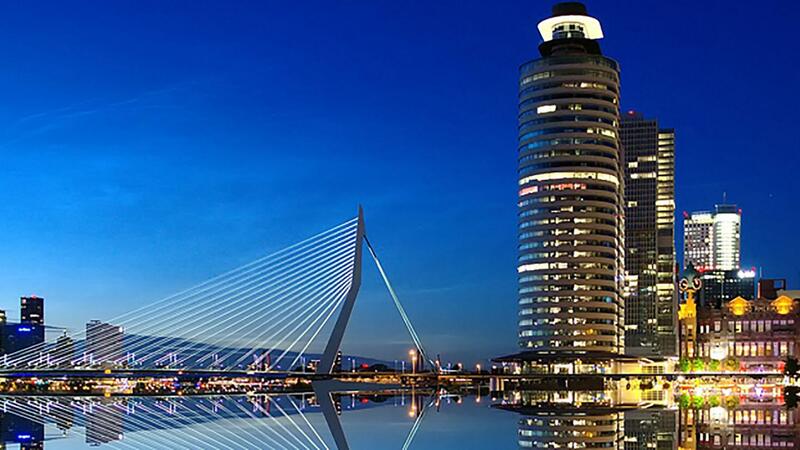 Zwemcentrum Rotterdam will be formally opened on 23 February 2018. Now that Zwemcentrum Rotterdam is ready for action, the Municipal Department of Sports in Rotterdam looks set to take swimming in the city to another level. Professional swimmers will be able to train and compete in an Olympic-size pool (50 metres in length), while recreational swimmers will be able to practise several types of water sports in a great pool in the convenience of their own neighbourhood. The Aquatic Centre provides activities ranging from water polo, swimming lessons and group lessons all the way to international long- and short-course competitions. Thanks to the variable-depth moveable floor in one part of the swimming pool, the centre is able to host special aquatic therapy sessions, as well. Zwemcentrum Rotterdam has two pools: a 50-metre pool for competitions and a 25-metre pool used for certain target groups. The two pools can be used separately, and are separated from each other by a permanent dividing wall. Hart van Zuid, the development of the area around Rotterdam Ahoy, Zuidplein and their surroundings, is a metropolitan project in which the city is investing a great deal. Hart van Zuid is expected to grow into a fully fledged centre in Rotterdam Zuid, where people can live, work, do business and relax in a pleasant environment. Ballast Nedam and Heijmans are jointly responsible for the design, realisation and financing of this area development, which they have also been contracted to maintain until 2043.